Like lamenting against your ongoing inability to levitate, as hard as you work at it, you’re going to be lamenting for a long time, Mr. President, if you think the lack of economic progress by the middle class is going to change under your policies. Such will be the case when you fundamentally fail to understand where economic success comes from. Throughout yesterday’s self-proclaimed “important speech” on our economy, you decried the seeming injustice of a person who “works hard”, only to come up short. But if hard work were all that was required for success, we could simply encourage people to repeatedly dig holes with hand shovels and then fill them back up. Backbreaking work for sure, and a task that has a great track record of not making people rich. Where you and your fellow policy-makers consistently miss the mark is in never realizing that hard work for hard work’s sake achieves nothing. What really counts is pleasing people. To please someone, you have to put that other person’s needs ahead of your own. It’s an inherently giving act. You have to know the wants of the other person, and then do something that they value. It’s the very opposite of the “Me Generation”, the rise of which might just correlate with your noted middle-class stagnation. If you want to achieve a lot of success, do something that a lot of people value. And if you want extreme success, do something that a lot of people value, but in a way that very few other people can do. This, and only this, explains why top entertainers, for example, make what they make – they make a lot of people very happy, and their skills are incredibly difficult to duplicate. The Obama administration’s finger-to-the-wind political strategizing over birth control has touched off a furor amongst a variety of factions. Most of the controversy has rightly centered around the government’s ability to run roughshod over an individual’s, or religion’s, belief systems. 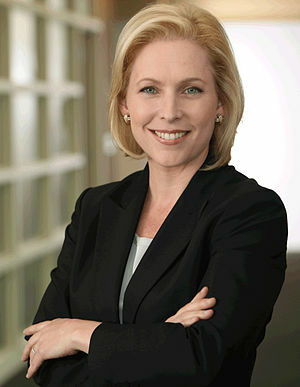 “99 percent of American women take birth control, and this is basic health care for most women,” said Senator Kirsten Gillibrand. Until this country stops confusing health insurance with health care, we’re on a road to certain national bankruptcy. Indeed, many would argue we’re already there. Decades before the 1929 stock market crash and Great Depression, a Baptist minister named Russell Conwell began to deliver a lecture to groups of impoverished and dejected individuals around Philadelphia, Pennsylvania and ultimately, the entire country. The lecture came to be known as “Acres of Diamonds”, and Conwell went on to turn his nightly mission meetings into Temple University. He also went on to deliver that lecture over 6,000 times. Fast forwarding a century to our own Great Recession and its corresponding groups of newly impoverished and dejected folk, one wonders what Conwell might have said to the ones who have come to participate in, or sympathize with, the Occupy Wall Street movement. We need only to look to his “Acres of Diamonds” text to find out. Equal parts inspiring, engaging and witty, and almost disturbingly prophetic, the lecture derives its name from its opening tale of “an ancient Persian by the name of Al Hafed”, who is lured into a search for diamonds in far away lands. After spending his fortune in vain and coming up diamondless, he takes his own life. As the story continues, we learn that if he had only dug in his own original backyard, he would have encountered acres of the precious stones, and achieved all of the riches he lost his life seeking. I think the best thing for me to do is to illustrate this, for if I say you ought to get rich, I ought, at least, to suggest how it is done. We get a prejudice against rich men because of the lies that are told about them. The lies that are told about Mr. Rockefeller because he has two hundred million dollars — so many believe them; yet how false is the representation of that man to the world. How little we can tell what is true nowadays when newspapers try to sell their papers entirely on some sensation! Much of Conwell’s eleven thousand plus words revolve around the relationships between society’s rich and its poor. As the self-described “99 percenters” rail against the supposed injustices heaped upon them by the infinitely fortunate 1%, Conwell’s talk is chock full of wisdom that transcends the ages. In fact, as we shall see, it is almost eery how currently applicable entire sections of the prose are.